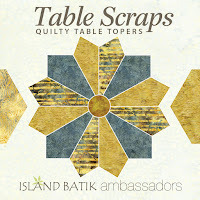 As most of you know this months theme for Island Batik Ambassadors is Table Scraps. My original post is just below this one. 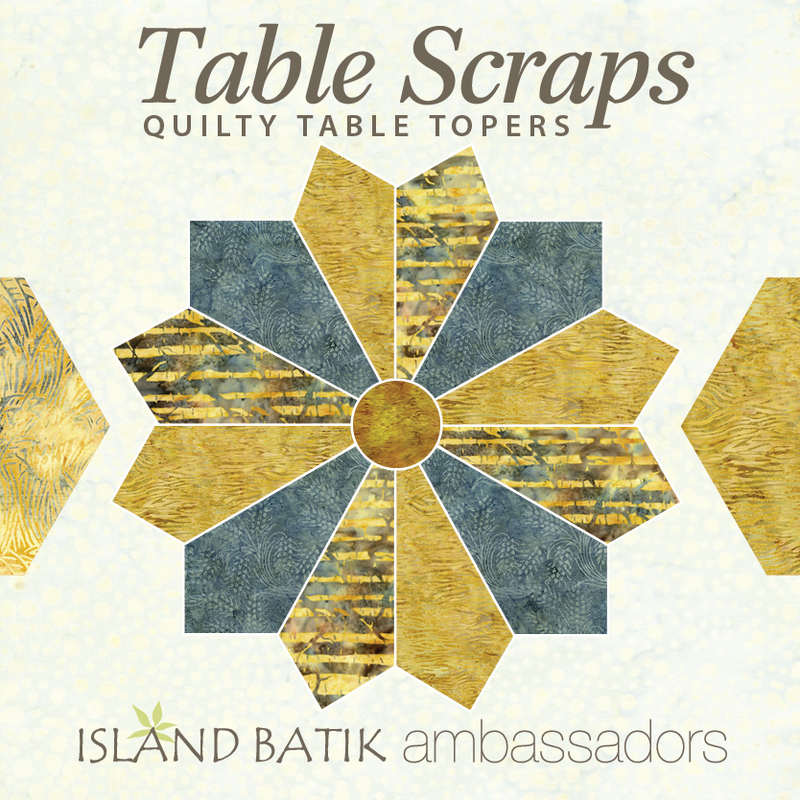 Well...in preparing for my January theme project for Island Batik Ambassadors using Alpine Jingle fabric, I had some left over scraps from the fabric I had cut and used fabric adhesive on. I hate wasting those little scraps if I can't help it. So I had cut out all of these hearts with my Accuquilt Go cutter. Then what to do with them??? I love this little runner measuring 31 1/2" x 16 1/2"
Here is a close up. I wanted the stitching to show up. What I did was put the table runner together before I stitched down the hearts with my machine. I divided the runner up in 3" squares, took embroidery floss and just went to town. I used my machine to go around the red sashing and outside of the runner. I even put the binding on before I did the hearts. I did the hearts in stolen moments between running around or cleaning. Well....I love it so much that I thought I would hand stitch my January quilt for Island Batik. Just started stitching on it last night. I am going to make a run for it. It is just that I have an idea in my head, even now the idea is not panning out. I want the stitches to show like in the heart runner but I am taking too small of stitches..... So...may go back to square one?